Spend ten minutes in silence. 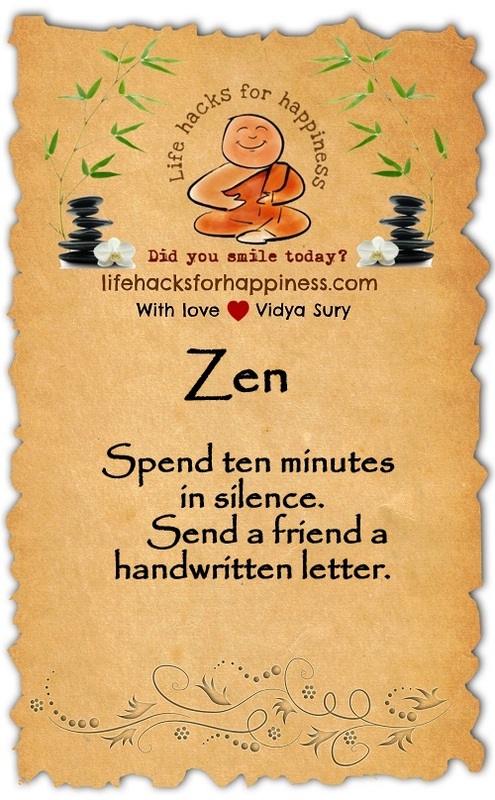 Send a friend a handwritten letter. Hello there! Here today on my A to Z road trip. I love the opening statement about smiling today. It hooked me.. Hope you have a great day. Thank you Annette! What a sweet thing to say!